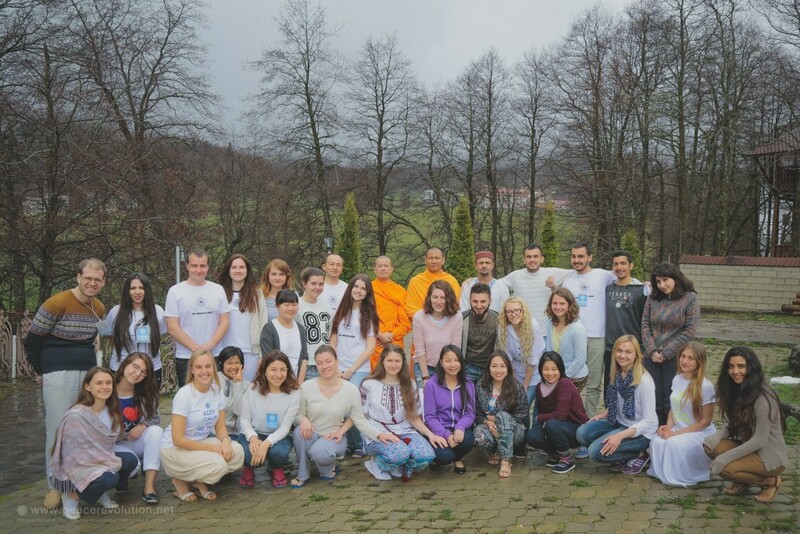 The first BRIDGE Peace Fellowship organized by Peace Revolution project took place in Bakuriani, Georgia, from 4 to 9 May 2015. It brought together young people from Eastern Europe, Caucasus and Central Asia. The main aim of the fellowship was introducing mindfulness and meditation as tools for personal and professional growth for the youth in the region, and networking for development of sustainable world peace through inner peace cultivation thus, making a change in their local community. The name BRIDGE was suggested as a way to link the countries that despite belonging to different regions and having diverse cultures, share a common past and have a lot of things in common. 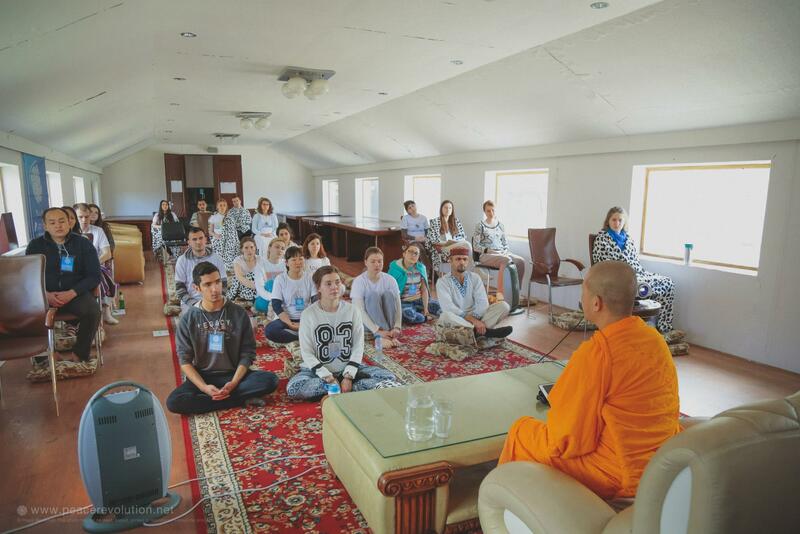 24 participants from 11 countries came together for five days of meditation, activities and discussions. Upon arrival, participants shared local snacks they brought from their countries and mingled around the dining hall. First day started with ice-breaking and getting to know each other. 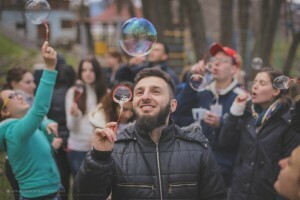 Special activities during the fellowship included yoga and exercise in the morning, Google with the monks, Meditation clinic, and outdoor activities that helped reconnect with childhood while letting go of expectations during meditation and becoming more aware of the prejudiced attitude one could have towards the world. The Peace Revolution Fellowship proposed meditation as a tool for relaxation and concentration for everyone, regardlesss of their cultural or religious background. Two teaching monks were invited from Thailand to join the fellowship, guide mediitation and share their teachings. Participants of this peace fellowship greatly enjoyed having four daily meditation sessions, the first one starting as early as 5.30 in the morning. They also asked the monks many questions about the monk lifestyle, mindfulness and meditation. “It was one of the most brilliant experiences I have ever had, because I got more things than I expected. Thank you very much, I hope I will have another experience in Thailand,” said Cholpon from Kyrgyzstan. Organizing the first BRIDGE Peace Fellowship was an opportunity for growth and learning and we are eager to integrate all the constructive lessons we learnt so as to make the future fellowship experiences even more rewarding. In general we had a very productive time, and we continue keeping in touch and sharing our experiences inside our communities. Previous PostPrevious More Patience through Meditation?